Mix brown sugar and chili powder in a bowl. Line bacon on a cookie sheet and sprinkle sugar mix on top of bacon. Cook bacon in oven for about 25 minutes or until crispy. Set aside. Season yams with olive oil, salt and pepper. Arrange in a single file on a cookie sheet and cook for 25 minutes until soft and edges are brown. While the yams are cooking, infuse 1/3 cup of olive oil with the garlic. Place olive oil in a pot over medium-low heat and place the garlic in the oil for 5-7 minutes swirling occasionally without burning the garlic. Remove the garlic from the oil and allow the oil to cool. Brush the sourdough with the olive oil and toast the bread. Build the sandwiches. 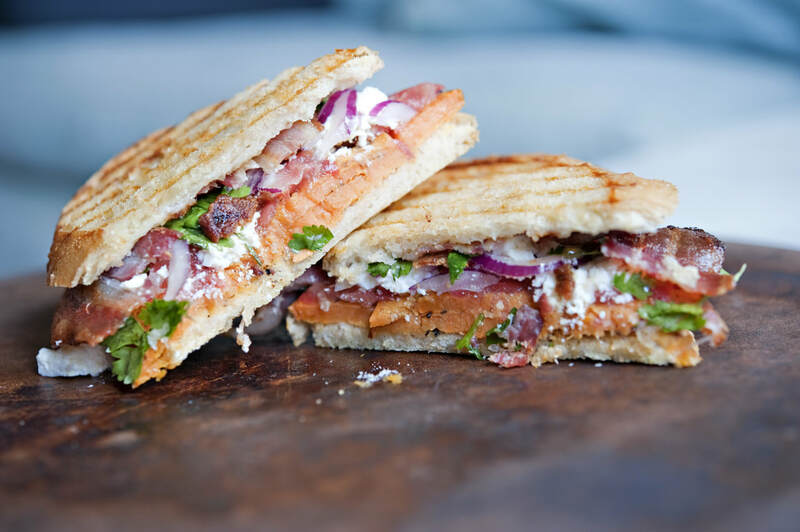 Place the candied bacon, yams, onions, feta, tomatoes and cilantro in-between the bread slices. Place in a heated panini press and grill until the bread is golden brown and crispy. 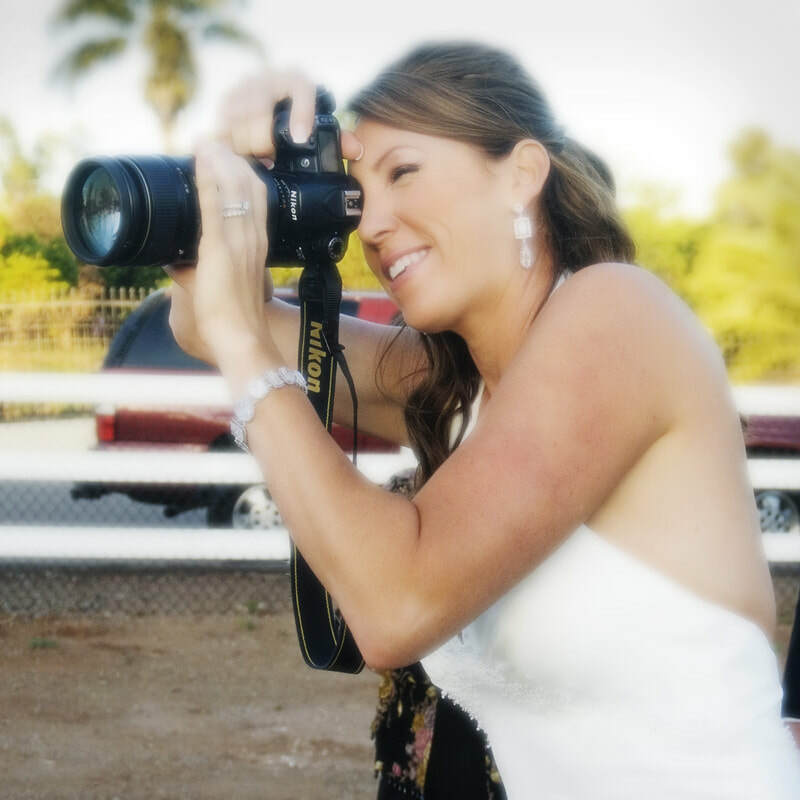 I started this blog so that I could document and share my adventures in travel, photography, food and the things that inspired me. It's a work in progress as are most things in life..